Trekking in the Himalayas is a risky affair if you do not have adequate information about what to pack and what to avoid. You could end up with a long or short list of items depending on where you are getting information from. So, it is very important know about “equipment required for trekking in Nepal”. Lack of proper tips or wrong information can often lead one to make bad decisions. Carrying too much or far less than required will be a burden and could affect your holidays. 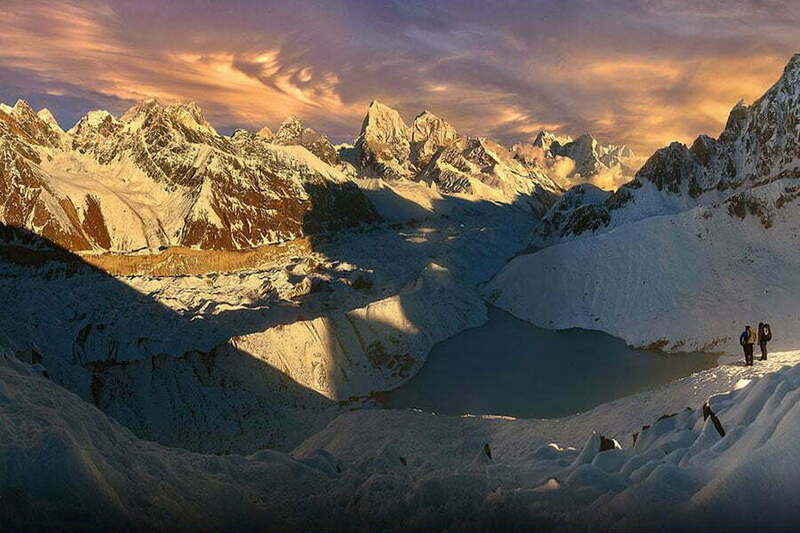 The first question that often pops up on a traveler mind is: how cold or warm is it in Nepal? Generally speaking, the period between November and March see temperatures drop to single digit while September, October, April and May tend to be slightly warmer. The monsoon season (June, July and August) is a time when sun is hotter, days are longer and rainfall is more frequent. Snow fall normally takes place in winter but only at or above 3000m. While in Summer the snowline is above 5000m. Please note that even though the temperature drops down to single digit, places like Kathmandu, Pokhara, Chitwan do not receive any snowfall even in winter. Based on our experience if you are coming from a tropical territory, you will obviously feel much colder than people from other regions. 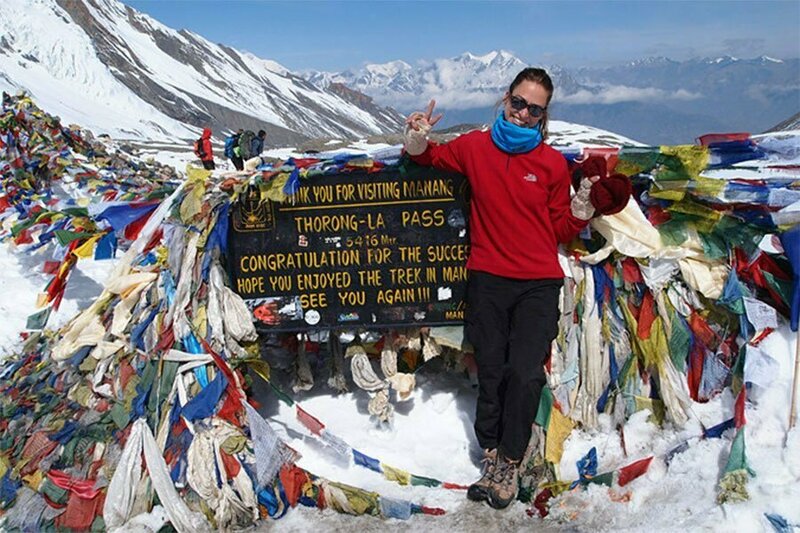 But the problem of acclimatising to Himalayan altitude will be equally felt by everyone, no matter where you come from. As the body obviously heats up when trekking, trekkers are suggested to wear shorts instead of pants for both comfort and practical reasons. It is also recommended to bring well fitted hiking boots as it could be difficult to fit in a new pair of shoes in a day or two. 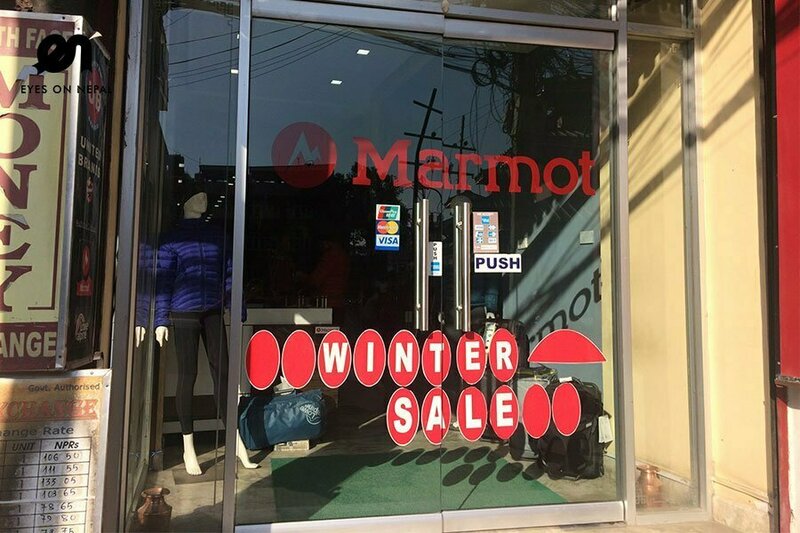 We also suggest you to carry inner wears that are quick to dry since walking in the Himalayas can easily warm you up resulting in plenty of perspiration inside. 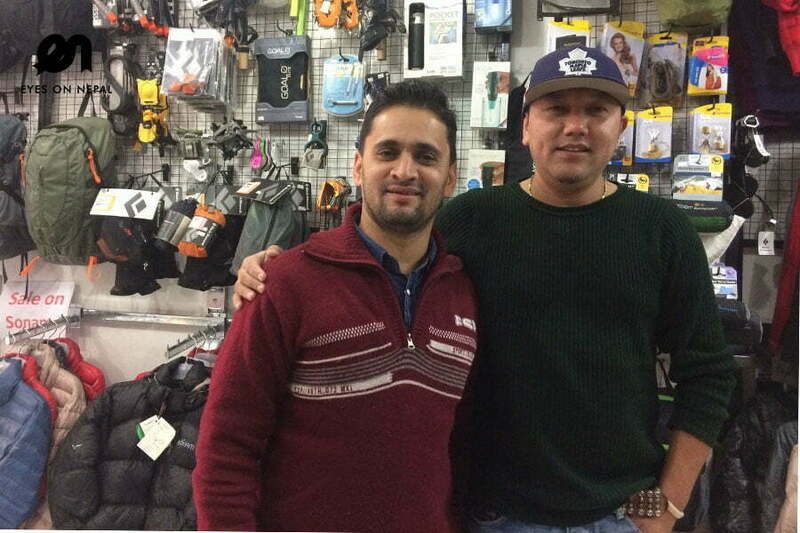 There are also questions like whether you can buy sleeping bags, walking sticks or warm jacket in Nepal. Of course, you can. Where can I buy one and how much it cost? Will the prices be reasonable and what about the quality of equipment? Are there any rental places available? 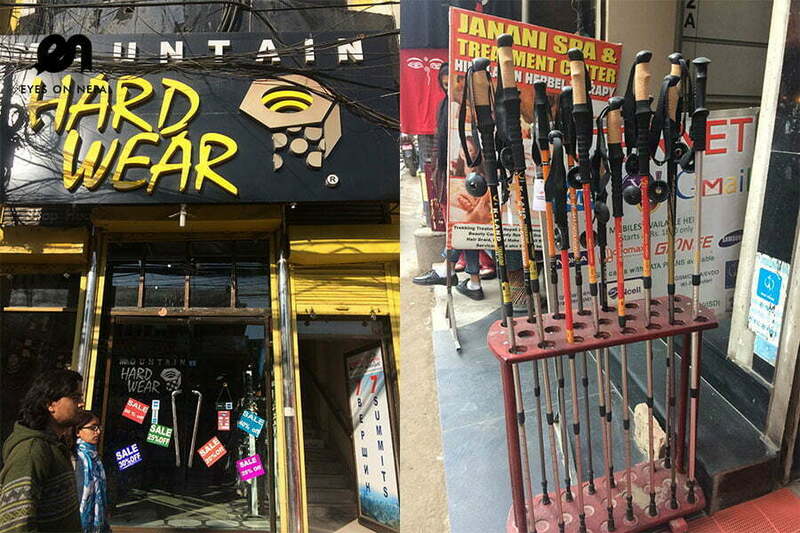 Here are some pictures of trekking gears shops in Thamel area. 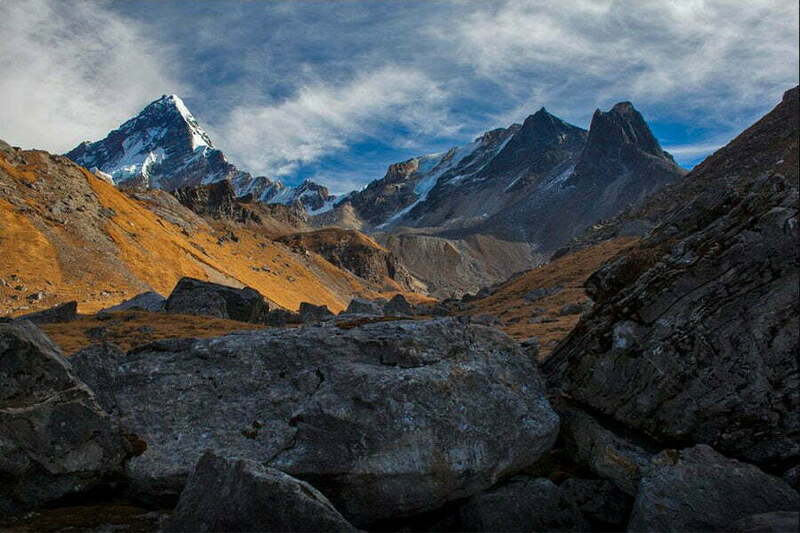 What you need during your trek in Nepal? 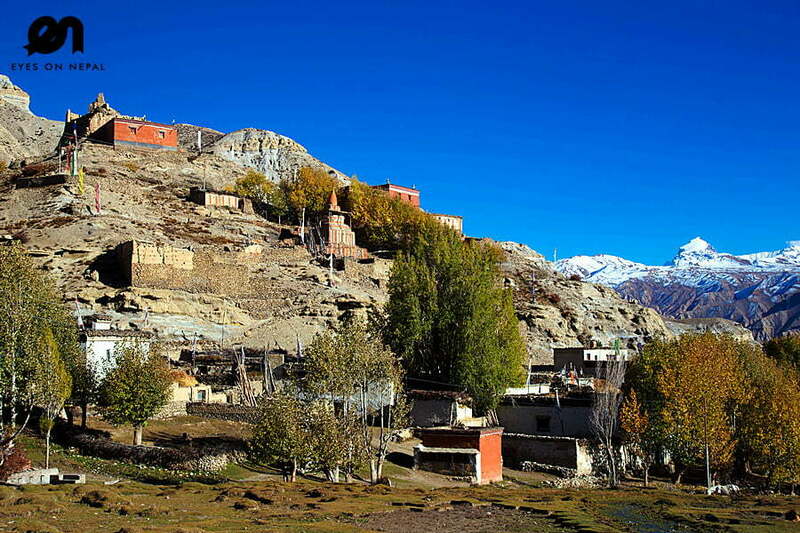 Depending on whether you are going on mountain expedition, trekking, day hiking or city sightseeing tour, your need and requirement vary accordingly. – Please consult with your expedition operator. Should I hire trekking equipment or buy brand new one? 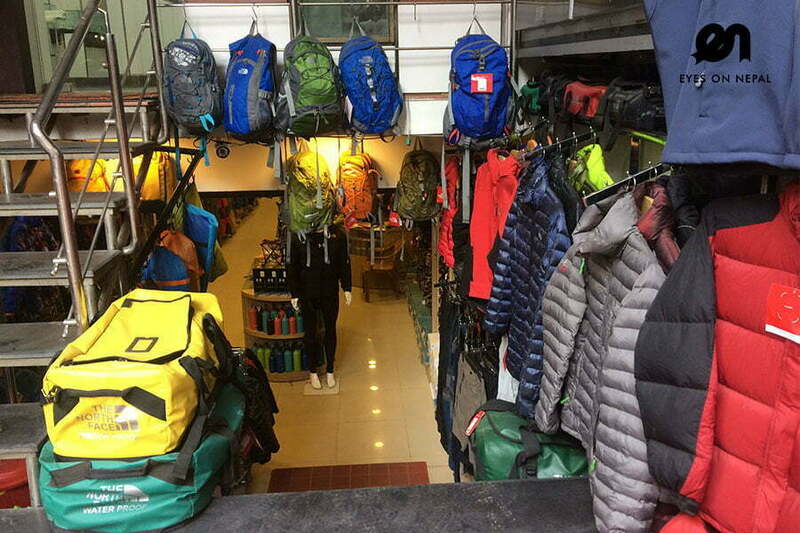 There are many options available when it comes to trekking equipment. One can buy a new set or hire from rental shop for a given trekking duration. Obviously, having your own product offers you more flexibility and freedom. But sometimes it is not practical to buy all the equipment you need, therefore hiring is much preferred. The decision to buy or hire will largely depend on your budget, practicality and needs. 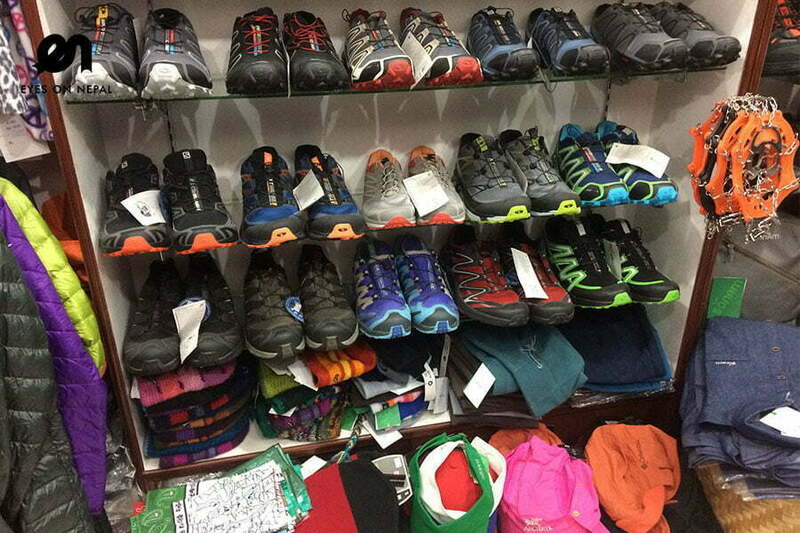 To start with, trekkers are advised to personally buy most essential items like shoe and day backpack. 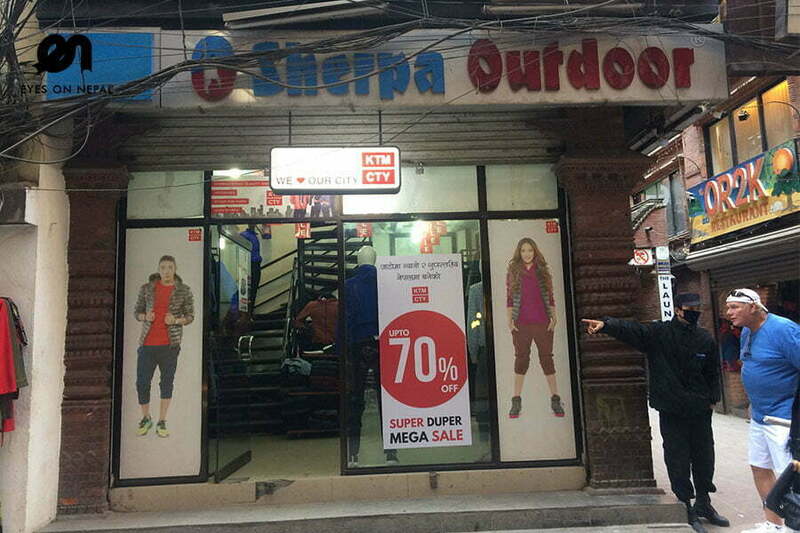 As for sleeping bag, down jacket and trekking stick, these can be easily hired in Nepal. But some people are allergic to using used sleeping bags or down jacket, in such a case you will be better off having your own. In terms of economics, there is really no difference between hiring and buying, especially when there are so many options available in the market. 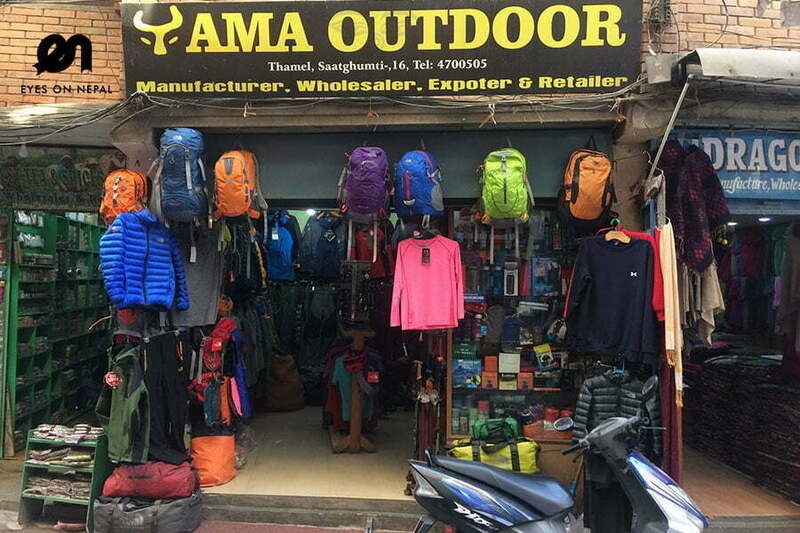 Many products such as sleeping bag, backpack, trekking stick etc., are now locally made in Nepal and easily available at cheap prices. As opposed to internationally branded products, the local products can be equally enduring and useful enough for altitude less than 5000m. 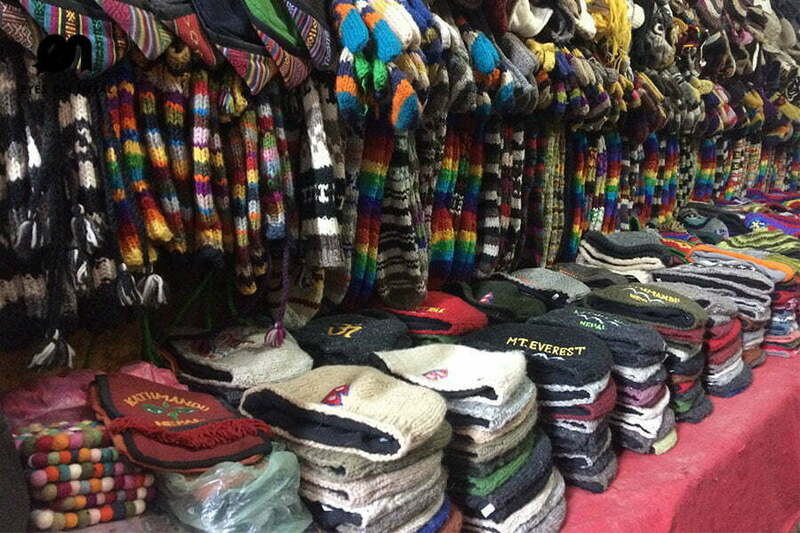 There are plenty of shops that sell locally made trekking products in Thamel. Though these items do carry logos of international brands, they are just a copy of the original ones. Obviously the quality of such local products will not be comparable with international brands. 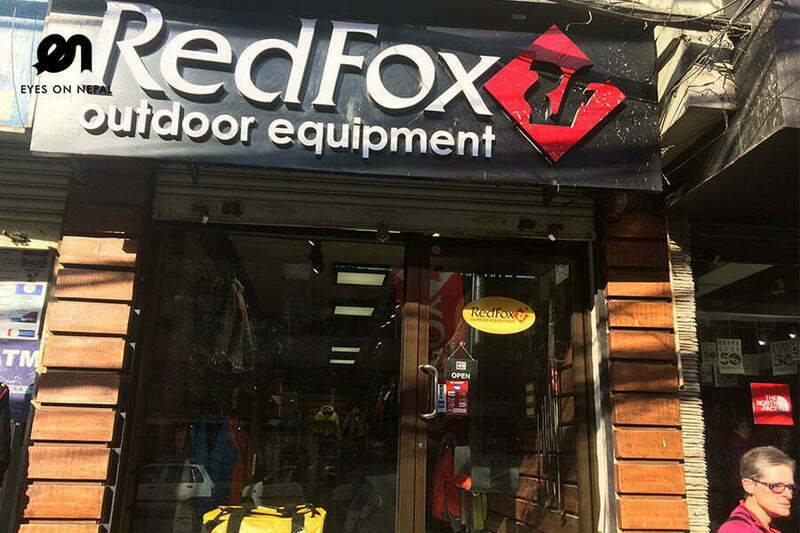 RedFox outdoor equipment store at Tridevi Marga, Kathmandu. 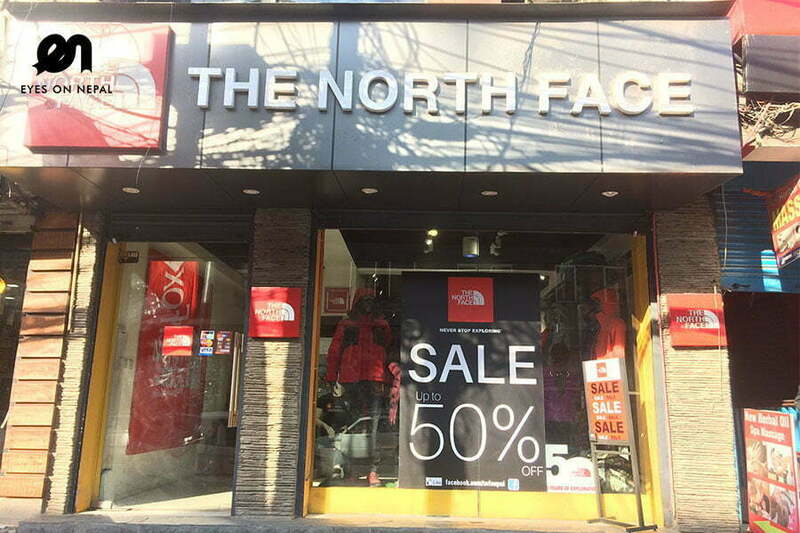 But if you would like to buy international brands, Thamel has original outlets of such brands as North Face, Black Yak, Mountain Hardwear, Black Diamond, Kailas, Anta, Mammut and Kathmandu. 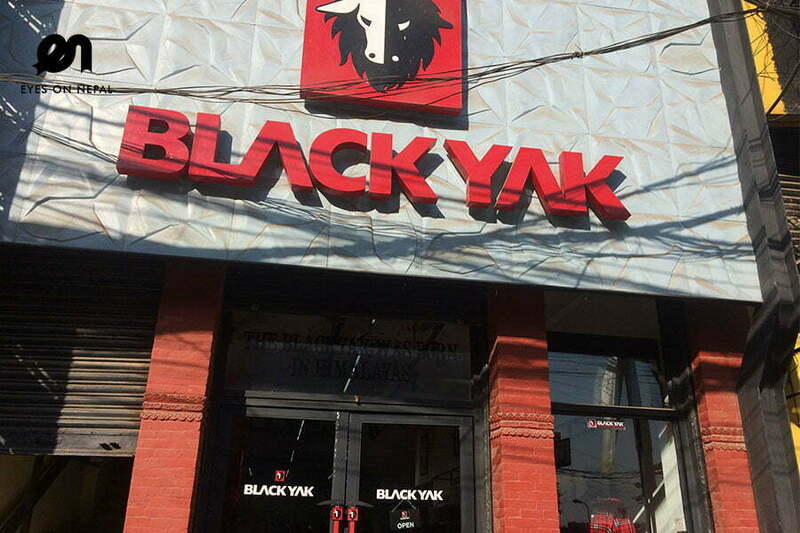 Most international branded shops are found in and around Tridevi Marg, Thamel. Where to hire or buy? 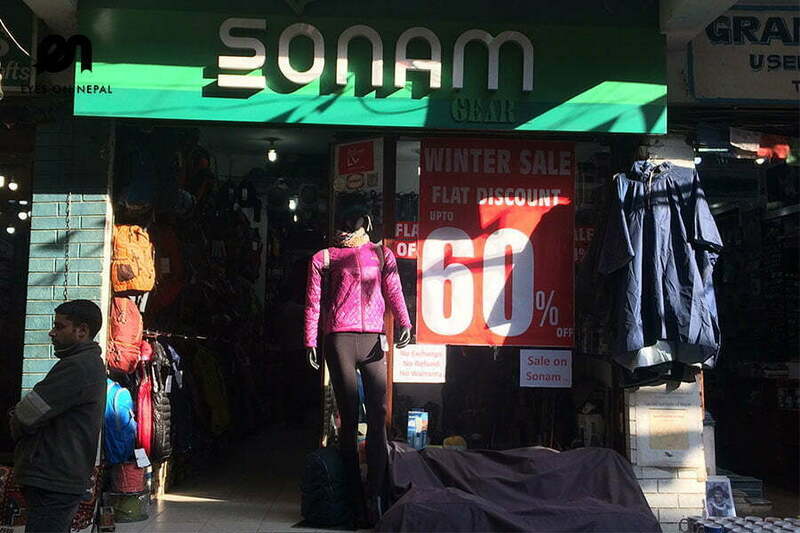 If you are looking to buy locally made cheap products, we recommend you try Sonam or KTM city stores. 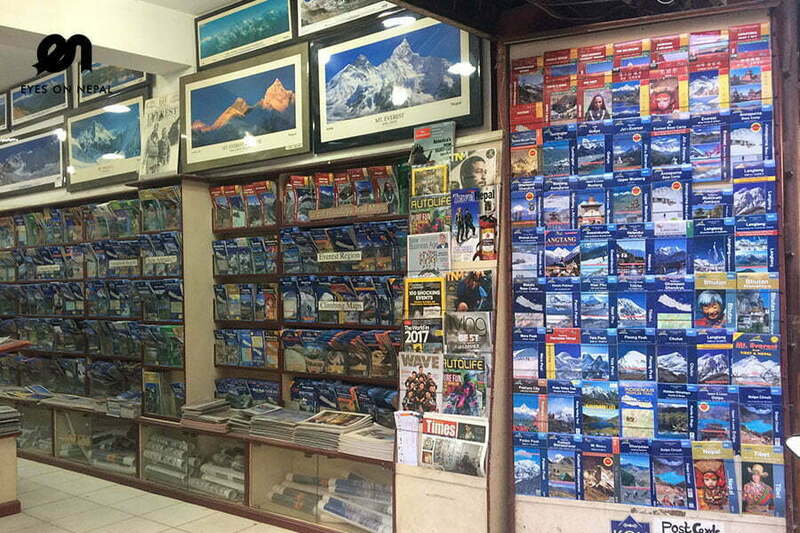 And if its international brand, which offer fixed price but expensive products, you should visit Tridevi Marg in Thamel. 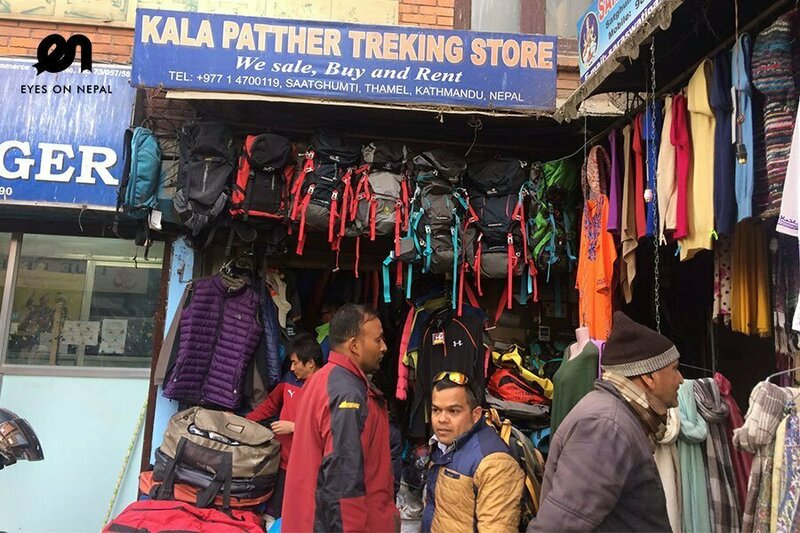 But if you would like to hire trekking equipment, we recommend you to visit Kalapathar store located in Satghumti Marga, Thamel. 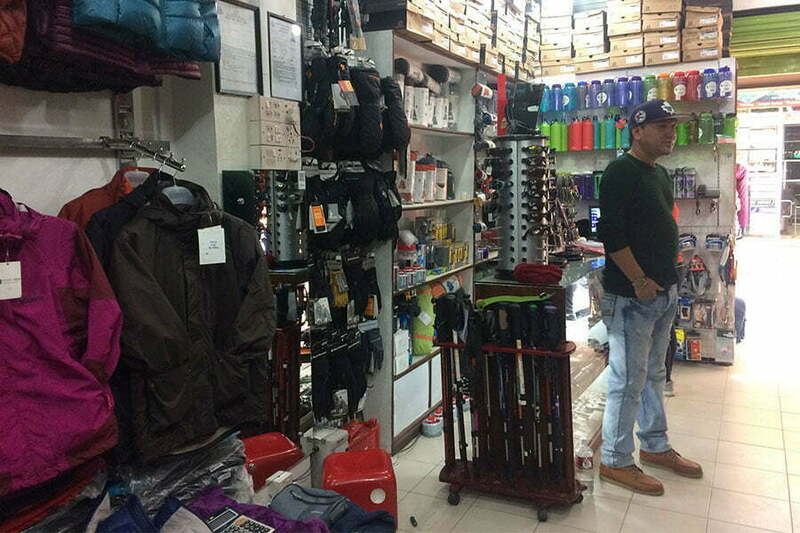 Kalapathar hires out all types of trekking equipment at reasonable prices. Even though the shop appears outright messy from outside, it offers a range of choices from quality to locally manufactured items. Bargaining is a way of life in Nepal. So expect some bargaining and haggling with shopkeepers especially if you are buying locally made products or hiring. Below you will find a prop on prices. The actual prices may vary, but not significantly. Travelling in Bandipur, Nepal (Part 4) – Where to stay in Bandipur, Nepal? 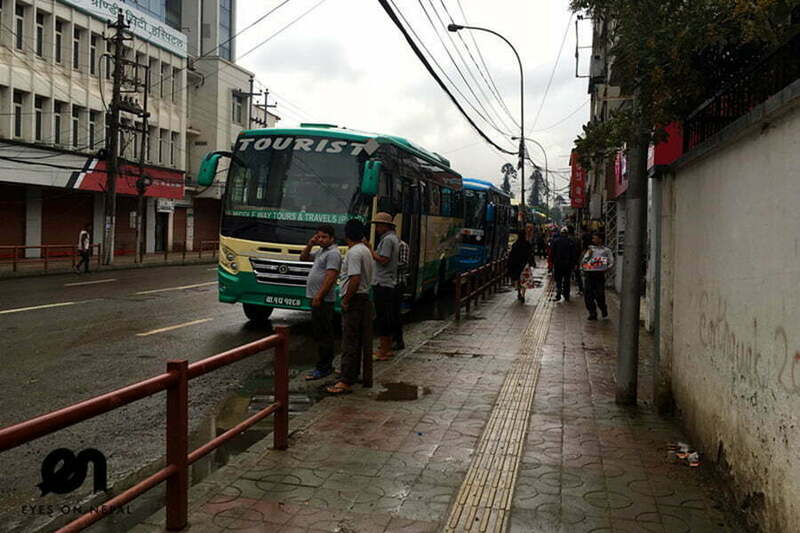 How to travel by bus from Kathmandu to Pokhara? or, from Pokhara to Kathmandu? How to travel from Kathmandu to Lumbini / Lumbini to Kathmandu by flights or by bus? PARAGLIDING IN NEPAL: So much funs ! 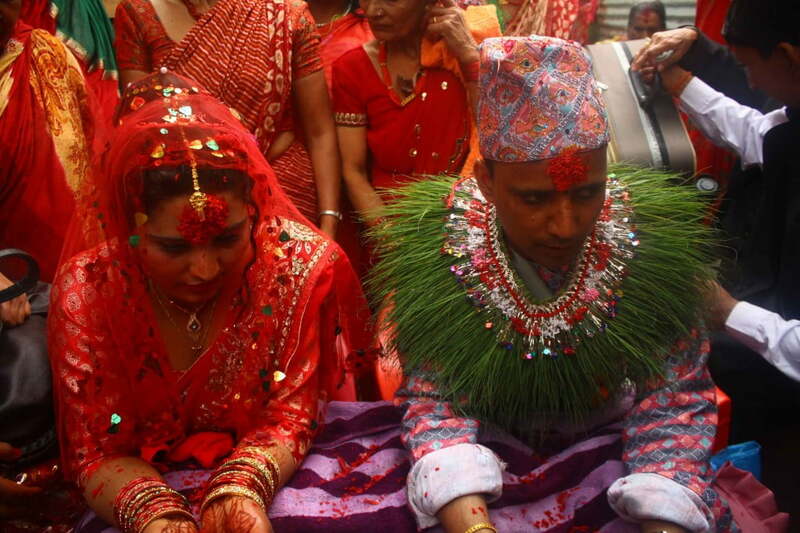 Bungy Jumping in Nepal: We did it! 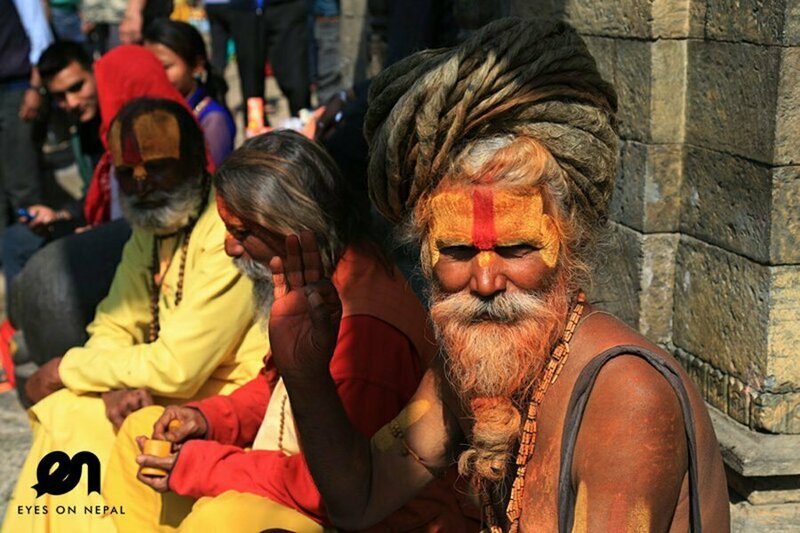 Shiva Ratri Festival 2014 in Nepal: Smoking Marijuana is legal today!